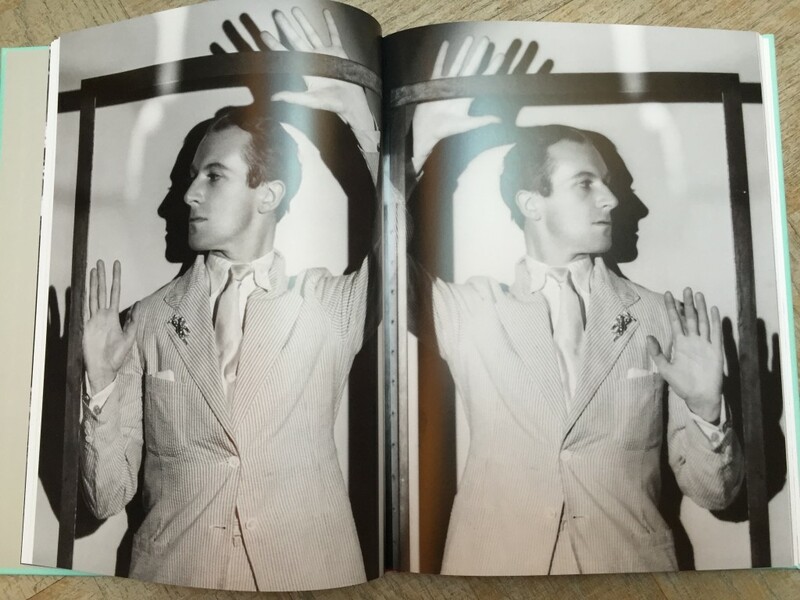 We recently received a copy of “A Life in Fashion: The Wardrobe of Cecil Beaton” by Benjamin Wild with foreword by Tim Walker. The book is a lively and informative study of Beaton’s style, which kept evolving over the decades. 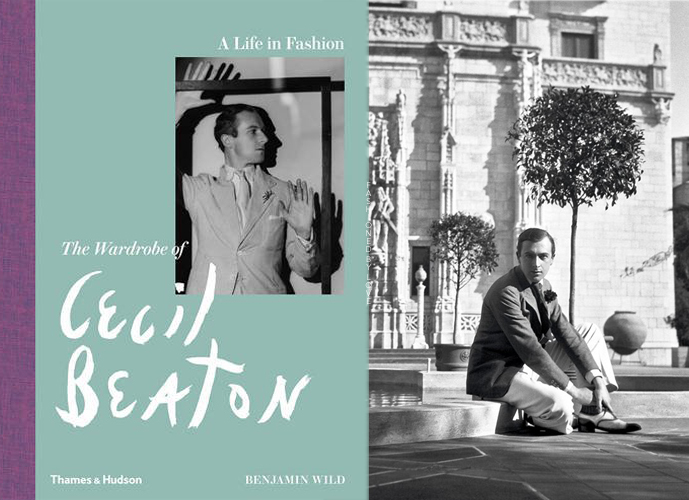 Drawing on unpublished records and interviews with Beaton’s former tailors, Benjamin Wild delightfully scrutinizes Beaton’s approach to fashion as well as his influence on designers such as Giles Deacon and Dries van Noten. 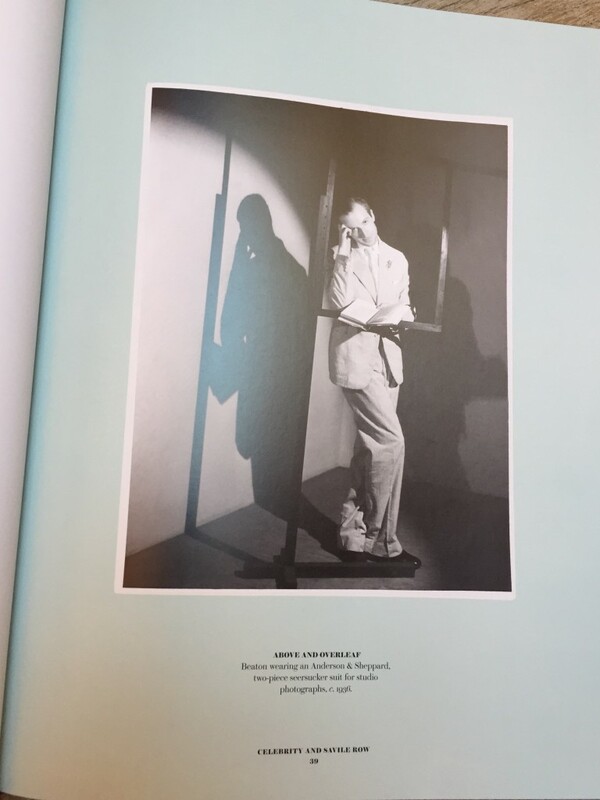 His wardrobe went through many changes, beautifully documented and illustrated in this virtuoso study, which will delight and inform the big new audience for men’s clothes that are distinctive, supremely well made, and carrying authority with style. 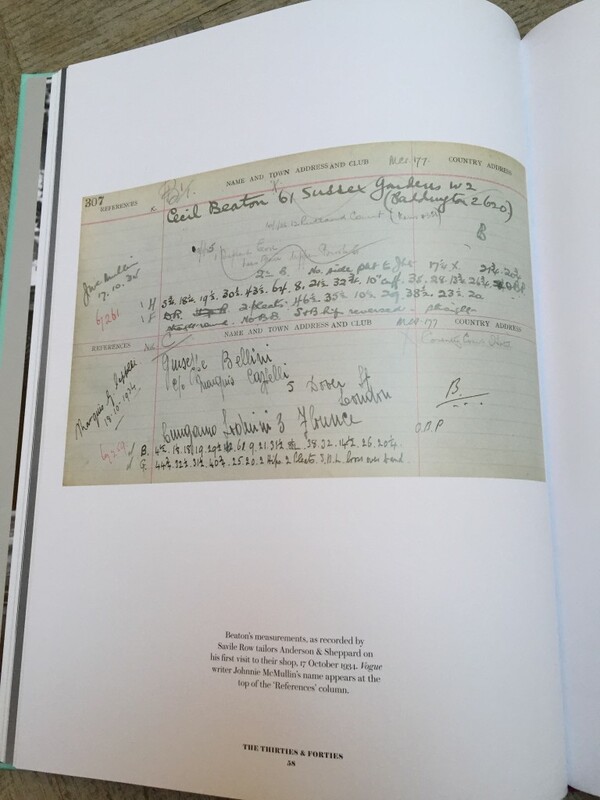 Beaton’s measurements in an Anderson & Sheppard Ledger recorded on his first visit to our shop on 17th of October 1934. Vogue writer Johnnie McMullin’s name appears at the top of the ‘References’ column.